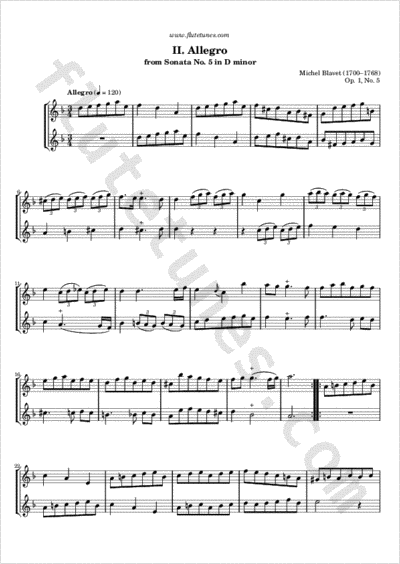 This Allegro is the second movement of a Sonata in D minor written for two flutes by Michel Blavet. It was first published in 1728. Thanks to Beth for suggesting this piece!